Charlotte and Tampa, Fla. – the host cities for this year’s two political conventions – may be able to prohibit protesters from bringing backpacks or water guns. But what about real guns? That could be a problem: State law in North Carolina and Florida allows concealed weapons. The Associated Press reported that in Tampa, where Republicans will convene in August, the City Council voted last week to ask GOP Gov. Rick Scott to issue an executive order preventing people with concealed weapons permits from carrying guns. Tampa Mayor Bob Buckhorn said the state law has made the city "look silly," particularly because officials can ban water guns but not real ones. In Charlotte, host of the Democratic National Convention in September, the issue is more complicated, AP reported: "In January, the city adopted an ordinance allowing it to set up 'extraordinary event zones' – designated areas where people won’t be allowed to carry backpacks and other items. The city wanted to ban guns in those zones. State law, though, allows people to carry concealed weapons – unless they’re at a parade or protest." The tricky part is that the zones are far bigger than the areas reserved for actual demonstrations, AP said. "Texts from Hillary" is the latest and maybe the funniest blog out there for politics junkies. The Tumblr meme -- created by Stacy Lambe and Adam Smith -- is built around two photos of Secretary of State Hillary Clinton, looking in-charge and a bit intimidating in her sunglasses as she stares at her phone while seated in a military C-17 aircraft. The hilarious part: The imagined texts supplied by bloggers. In one exchange, reports the Washington Post, President Barack Obama is pictured with his phone, "texting" Clinton: "Hey Hil, Watchu doing?" Her reply: "Running the World." The revelation that Secretary of State Hillary Clinton won't be attending the 2012 Democratic National Convention in Charlotte -- first reported by the Observer -- should provide more fodder for the "Texts from Hillary." Or as The Atlantic (Monthly) Wire put it: "In a move that will fuel her current meme-mentum, Secretary of State Hillary Clinton has announced that she will be skipping the 2012 Democratic National Convention"
Check out the article and -- maybe imagining that POTUS and Secy Clinton are talking about the Dem convention and how she's just too busy to attend -- check out the pictured "exchange." Though President Barack Obama has barred lobbyists and corporations from contributing money to the Democrats' upcoming convention in Charlotte, those special interests aren't likely to be shut out -- thanks to some creative ways of giving suggested by convention organizers. That's the premise of a new story in the Los Angeles Times by Matea Gold, who covers money and politics from the newspaper's Washington Bureau. "Even as Democrats tout the three-day event in September as a populist gathering," she writes, "organizers have found ways to skirt the rules and give corporations and lobbyists a presence at the nominating convention. That suggests they can't raise the $37 million for the political extravaganza without at least some help from moneyed interests." Gold writes that convention officials have encouraged corporate executives to write personal checks and suggested that corporations can participate by donating goods and services or giving through a corporate foundation. And, she writes, lobbyists who raise bundles of money from their clients "will get perks like premium credentials and hotel rooms." Lobbyists are not necessarily cheery about the changes, Gold writes. And the Democrats have said a meeting with lobbyists in Washington was an effort to educate them about the new rules, not recruit them. Charlotte's host committee has also forged more grassroots-type fundraising. On Thursday, the committee sent an email to more than 250,000 people around the country asking them to send $5 and have their names listed as sponsors on the convention's official NASCAR stock car. The email was signed by longtime Charlotte racing promoter "Humpy" Wheeler. Gold also quotes Kristie Greco, the Charlotte-based spokeswoman for the Democratic convention, who points out that the GOP has not adopted the same restrictions barring direct contributions from lobbyists and corporations and are, in fact, taking big bucks from businesses. “The Democratic National Convention is not accepting cash from corporations, lobbyists or PACs. Instead we’re engaging people at the grassroots, strengthening the voice of everyday Americans and engaging more people in the process," Greco said in a statement sent to the Observer today. "We’ve done more to promote reform than any convention in history. Republicans are still operating under the status quo, playing by the same old rules that cater to the highest bidders." But Fred Wertheimer, president of the campaign finance reform group Democracy 21, told Gold that what the Democrats are doing doesn't sound like they're abiding by the spirit of their own restrictions. "What they're doing sounds like the old forms of raising money that they claimed they were not going to do," he said. Organizers of the convention refused to tell Gold, as they've refused to tell the Observer, how much they've raised so far for the convention. The host committee, which has committed to raising $37 million, will only say that fundraising is "on track." But Suzi Emmerling, press secretary for the Charlotte host committee, did say in a statement sent to the Observer today that there are nearly 22 times more donors for the Charlotte convention than for the one in Denver four years ago. She did not offer raw totals. Here's the complete story from the Los Angeles Times. Charlotte's host committee for the 2012 Democratic National Convention is emailing more than 250,000 people around the country today with a fundraising pitch that is pure Carolinas. For a $5 contribution, these would-be donors are being told, they will be listed as sponsors on the convention's official "Powered by the American People" stock car. The e-letter is signed by longtime Charlotte racing promoter H.A. “Humpy” Wheeler and is designed to help the "Charlotte in 2012" committee raise the $37 million it needs to pay for the convention in September. "I’m proud that my home state was chosen to host the 2012 Democratic National Convention and excited to share some of the Southern hospitality that we are known for in the Carolinas," Wheeler says in the letter. "I’m even more proud that the Convention will kick off with a free, family-friendly Labor Day celebration at the place I spent the majority of my career at – the Charlotte Motor Speedway." The stock car will also be part of that Labor Day party as well as other events leading up to the convention at Time Warner Cable Arena in uptown Charlotte. I’ve seen it all in this business, literally. In 1949, when I was only 11, I attended the first ever NASCAR race. Ever since that day, nobody could stop me from helping to build the sport that I loved to what it is today. Whether you are a longtime fan of racing or have never had the chance to experience a race, you can become a sponsor of the Charlotte in 2012 “Powered by the American People” stock car. Be a part of our team by giving $5 or whatever you can right now and your name will appear on the Convention’s official stock car. I’m proud that my home state was chosen to host the 2012 Democratic National Convention and excited to share some of the southern hospitality that we are known for in the Carolinas. I’m even more proud that the Convention will kick off with a free, family-friendly Labor Day celebration at the place I spent the majority of my career at – the Charlotte Motor Speedway. I want you to be part of our racing family. If you give $5 – or whatever you can right now – you will be listed as a sponsor on the Convention’s official stock car. H.A. “Humpy” WheelerCEO, The Wheeler Company." 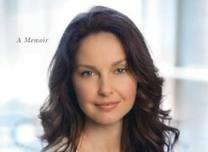 Actress Ashley Judd is coming to Charlotte in September as a delegate to the Democratic National Convention. Though her famous family is closely associated with Kentucky, Judd will represent the Nashville area of Tennessee: She was one of three delegates selected from Williamson County, Tenn., to serve as at-large delegates. The Nashville Tennessean reported today that Judd has been active in Williamson County politics in recent yers, including helping one local Democrat run for the state Senate in 2008. Judd's movies include "Double Jeopardy," "Kiss the Girls," "Heat," and "Ruby in Paradise." Her mother, Naomi Judd, and half-sister Wynonna Judd won fame as The Judds, one of country music's all-time top duos.